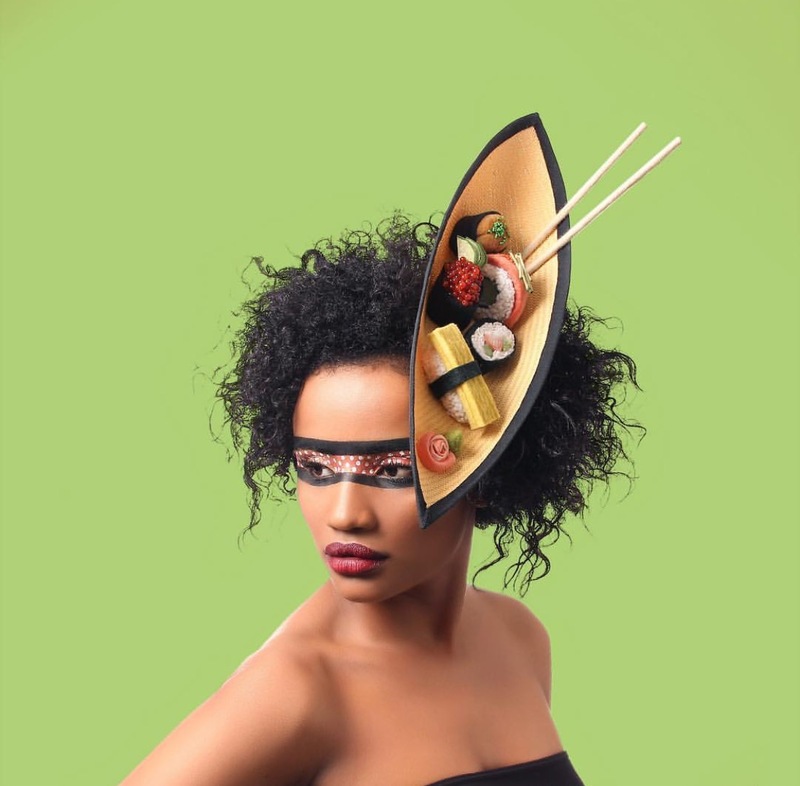 This brilliant sushi fascinator will be the hit of the party (just remind your friends that it’s made of wool before they try to eat it right off your head!) A fresh and tasty food hat that looks good enough to eat! ✦ The entire piece is made of wool felt that is shaped and hand painted to create a mouth-watering hat. ✦ Lifelike salmon, rice, wasabi, and rolls are one-of-a-kind, you wont see high quality food items like this anywhere else, not to mention the perfect chopsticks! ✦ Fascinator sits on a realistic wood block made of wool.